The historic Ingleside Inn & Melvyn’s Restaurant, the tradition of fine dining and old-world charm Palm Springs has become known for.<br>Built in the 1920’s for the heirs to the Pierce Arrow Automobile Company, it was later purchased in 1935 by Palm Springs pioneer Ruth Hardy. Ms. Hardy catered to select guests from the world of high society, opera, show business, art, financial and diplomacy.<br>In 1975 the Inn was purchased by the late Melvyn Haber. 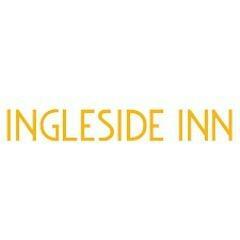 Since then, the Ingleside Inn and Melvyn’s have been honored to serve thousands of notables like Frank Sinatra, President Ford, Arnold Schwarzenegger and Marlon Brando.